Established over 25 years ago, Seaward Electronic based in Co. Durham, England is the market leader in the field of electrical safety test instrumentation. 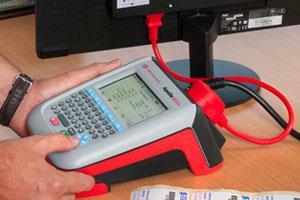 Seaward recognise the needs of test professionals and understands the practical requirements of todays testing. The companies reputation has been built on developing innovative yet practical solutions. Seaward have an extensive distribution network in the UK and the company are represented worldwide across 30 countries. As part of the Seaward Group, Seaward Electronic enjoys success alongside the Group's other brands, Cropico - Precision Measurement, Rigel Medical - Biomedical Engineering products, Clare Instruments - electrical compliance test equipment for Manufacturers and Hire companies and Seaward Group USA - US Distributor for th Group, in Florida, USA.